Writing careers have changed drastically since the rise of social media. Newspapers find themselves sharing more content online, and self-published authors have a new way to market to a vast, and growing, audience. Authors can now access many of the tools that are available to the big guys, and, with a little thought and effort, promote their books to millions of potential readers. 2015 is all about images. Visual marketing is more popular than ever, and tweets with images are more likely to be retweeted or favourited than those without. Twitter's own data put this at a 35% increase, and other studies show that using the native twitter image. Pair your book promotions with an image of the cover, or an image of you at a book signing. Or run some kind of contest where people who share a picture from your book signing enter a draw to win something (just be aware of contest rules which vary depending where you live and what you plan to do!). And check the image sizes for different platforms. Optimising for each medium will make the image easier to see and therefore easier to share. It might take a bit of effort to do this, but focus first on the one or two platforms where you prefer to hang out. Or you can hire an assistant to do this for you. Image sizes can easily be tested by plugging the url of the image into the platform and simply see how it looks. Square images are most easily shared across platforms, and even if they are cropped a little, something fun or enticing will make your follower or fan click through to view. Be aware of colours. Rich colours such as dark shades of red or green tend to be the most popular, and will also share across most platforms. And when it comes to sharing, although it can be extra work, data from twitter show that you can get up to twice as many re-tweets if you use the twitter image uploader. And the same goes for other platforms. Don't post in one place and auto-share the link. Take a moment to upload directly to that platform with a personalised comment and the link back to your book page or blog. Visual marketing is powerful, and it's more powerful if done properly. There is no doubt that the headline gets the result. And that users of different media respond to different headlines. If you really want to go pro with this then using a tool such as BuzzSumo is invaluable. It can help by showing you highly-shared blog posts, popular tweets, what Facebook headlines might work. It will even tell you what days of the week are best for sharing (Monday and Tuesday apparently -- who knew!?) 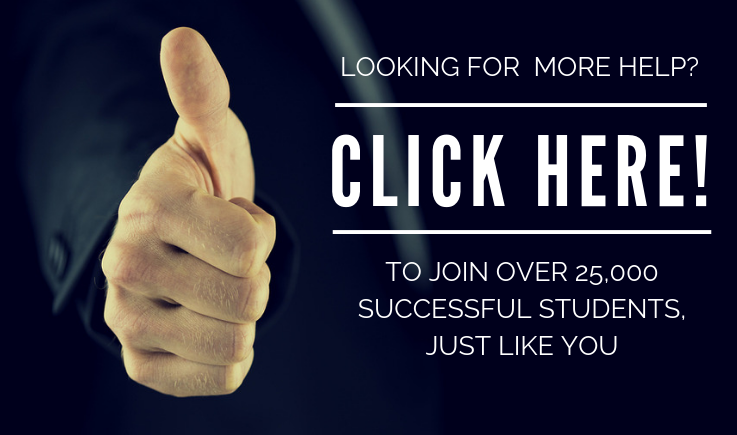 It is a paid tool but you get to see the top-performing results for free. Good headlines are short, use emotional words, and killer phrases. Readers are more likely to click something that is enticing with curiosity or a question. If you have good content, you want people to click through to your tweet or Facebook update -- and headlines are the way to do this. Use hashtags -- which, for the uninitiated means putting the hash or 'pound' sign -- # -- in front of a word or phrase. Run the words in a phrase together if you are using more than one word hashtags -- #authorsrock, for example. It makes your content more searchable on the social networks. Because these can be carried across social media platforms, such as from Instagram to Facebook and Twitter, they have the potential to reach a wide audience. You might not quite get the reach of Travelocity's 2014 #iwannago campaign, but you can definitely learn the lessons from it. Creating something that people want to participate in is important, and combining it with video (or even images if video is a stretch for you) can make it even more powerful. When topics are trending, use the corresponding hashtags to promote your content -- if it’s relevant. You'll see all the conversations using the same hashtag showing up together so, if Kim Kardashian is tweeting about her favourite restaurant and you have a recipe book related to that, then dive on the trend. Hashtags also help your content perform better. On twitter, using a hashtag can double the engagement of your tweet. Just don't overdo it. One or two per tweet is enough. Post when your followers are online for maximum visibility. Each social media platform has peak times for engagement, and knowing when to post your content -- and posting at those times -- can get you more visibility. Activity depends on your topic. Brand pages are often more active in the evenings and weekends, whereas LinkedIn is more active right after people get to work. Twitter can see a jump in activity after lunch, presumably when we're unmotivated to get back to the to-do list! For many networks, engagement increases during the week, at both the beginning of an average workday and toward the end of it. In the entrepreneur space, a lot of activity takes place in the evenings. Adjusting of course for time differences between you and your audience. I'm in the UK, so the US is between 5 and 8 hours behind -- meaning most social conversations with my US audience are going to take place later in my day and into the evening. If you have a twitter feed you can track by looking at your most active retweets and replies. Although remember -- headline is more important than tracking time -- it's better to post a great headline at a slower time of day, than a weak tweet when people are online. If you have a Facebook page, then use the 'insights' tab at the top of your page to see when your fans are online. You can see this by day of the week, and time of day. Facebook, especially, ranks what gets shown by the amount of engagement. If more fans engage, then your updates will get shown to yet more of your fans and will appear higher in their newsfeed. Check the posting time, and use the scheduling tool to get your updates out when most people are likely to see them. Don’t give up too quickly. One share isn’t enough to get your content promoted. Just because an article didn’t get engagement, that's not a reason to never share it again. Guy Kawasaki recommends repeating things frequently on fast-moving social media like twitter (many times a day even). And popular posts on Facebook can be repeated monthly, without most fans remembering that you shared. And if they loved it, they'll be happy to see it again. Use different images to create a different message, and link back to the same blog content. But you don't want to repeat them ad infinitum. Be aware that some content has a lifespan. And especially beware if you are using social media tools that automatically re-use content. That's something your followers can spot, and are likely to tire of. Be human, be real, and you'll be fine. We know you have a book, and you're excited about it, but view social media as a way to build long-term relationships. And those relationships might just as equally be with peers and influencers than with potential readers. Don't be all about the sale. We all know that (annoying) company or individual who uses each and every post to promote something on Facebook, twitter or even Instagram. We've probably even unfollowed them. You want to promote your book with social media, but not too much. It's all too easy to hide, or 'unlike', or mute those people and if this happens to you, your engagement will fall and your posts get shown to fewer and fewer of your followers. A negative cycle you don't want to get into. Content is king here, and as an author you're likely to have a lot of it. The more content you have, the better your site will rank, and the more you share it, the more people can find you, and link back to it. Social media and content marketing go hand in hand. And it all comes down to repurposing content that you already have. If your book is about organic gardening, be sure to share helpful tips aside from your book content. This helps your followers and customers feel like you're truly giving value, and not just selling to them. Invite followers to respond, ask questions, run a survey, ask for an opinion. Whether it's about your content, or content in general doesn't matter. It's about the engagement -- because more engagement means your content is more likely to be seen. What book do you wish had a prequel? What's your favourite guacamole recipe? You can ask questions of your readers and followers. You can ask them to ask questions -- and then answer them. And you can have conversations with your peers and other experts. A twitter chat. A Facebook 'ask me anything'. These are great ways to engage your fans and followers and position you as the expert. And be aware of what is going on for your readers as well. Twitter is a multi-way conversational tool. You can reply to tweets your followers put out, favourite them, or add someone to a list. Offer congratulations for something they have done, or reply to a question. Facebook is a little more limited because it's kind of creepy to be stalking your fans! But engage on your author or book page -- reply to their comments, tag them and offer suggestions and ideas to encourage conversation. The more you engage with others on social media, the more they are likely to engage with you. Make your book launch an event to celebrate. Consider whether you want to give your book its own social media account. Maybe you want to set up a Facebook page for your launch? Or an event? Or a twitter hashtag? You might be cautious about the ongoing work of maintaining multiple pages but, at the very least, you can create an event. Give your readers a way to spread the news by 'liking' your event, by signing up to attend. Make it fun and enticing with giveaways (coordinating your Goodreads giveaway or your Amazon promotion through a Facebook event will maximise your exposure). And it allows you a little more scope to promote your book. You're launching, people expect it just for those few days around the launch. If you are different, then people will remember you. I know an author who creates mugs and t-shirts and randomly gives them away to his Facebook fans. Or runs mini-contests for them. Name the next character in my book and I'll send you a mug. And he has great engagement -- not surprisingly! Even if you don't go this far, giving a few inside peaks can help your book sell. In the fiction world, 'leaking' some insights before your book is released can create a buzz. For non-fiction -- consider talking about the process, rather than the content. 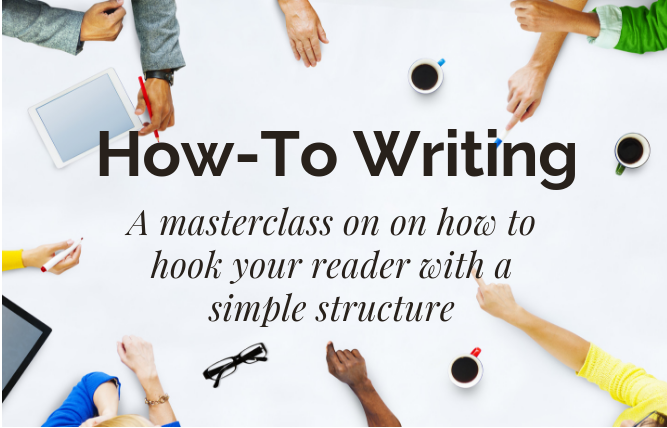 When you turn your blog into a book, you can create a platform as you write. Don't think about your social media in terms of each tweet or each Facebook post. Plan to campaign. Whether that's a campaign for your book launch, or a campaign to get more sign-ups for your email list, or a campaign around a particular topic or cause. Maybe you run a challenge related to your content -- healthy eating for 30 days? Whatever you decide plan, strategise, and see it as a series of inter-related activities. Your audience will engage with you over that period; it's special and -- importantly -- it has an end date! People love contests. So make these part of the campaign. Contests have limitless potential, as you can ask participants to comment, tag a friend, or just be a part of it. Have prizes (copies of your book, gifts from other authors) for people to win if they share or retweet. Social media has changed the way we market. It's expanded and extended the reach that we can have as an author. We have no excuse for not marketing our book. We can reach people who we know will share our interests. And gone are the days when we are dependent on just putting it out there and hoping for the best. Insights and data give us information about who is following us, or who we want to reach, and where to find them. For an author, it's priceless. Whether you do it yourself, or you work with your publisher or a social media marketing service to help you, just make sure you are out there communicating with people who enjoy your content. Are you promoting your book on social media? Which of these tips can you most easily put into action today? ?